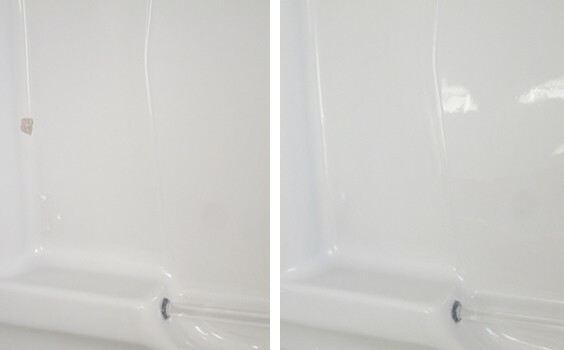 Our one of a kind service allows us to economically restore everything from dull scratched surfaces, cracks, small chips to large holes, with virtually undetectable results……..our speciality. 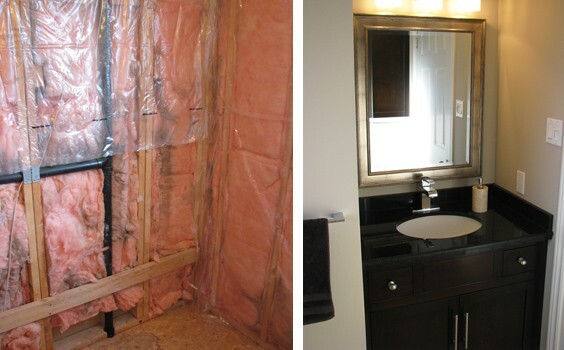 Fiberglass, acrylic and porcelain steel bathtubs/sinks can be revitalized with our refinishing system. Refinishing involves the application process of a long lasting durable and resilient finish. Refinishing allows these types of surfaces/fixtures to be repaired and color changed without removal. This process to your fixture is most often done the same day, ready to use the next day, and is much less costly than replacement. It’s hard to differentiate between a new bathtub compared to ones refinished by us. 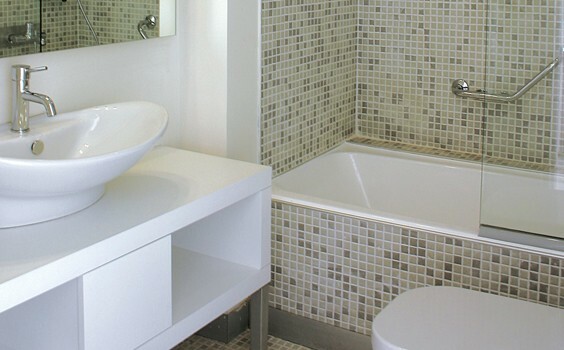 With a refinished glossy surface a bathtub or sink is much easier to keep clean. Refinishing is very durable and should last 15-25 years with proper care. 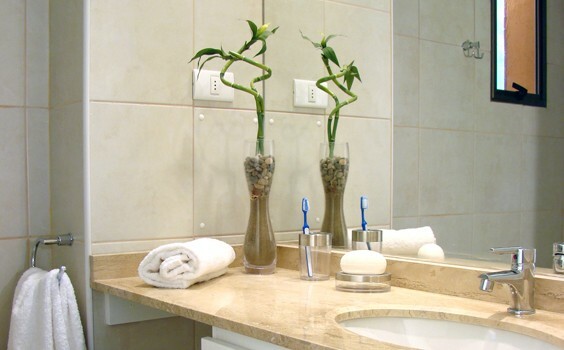 Existing countertops of laminate, cultured marble or formica can be repaired and refinished to the color option of choice at a significant cost savings over replacement. Refinishing can be done quickly and without the time and mess of a replacement job. 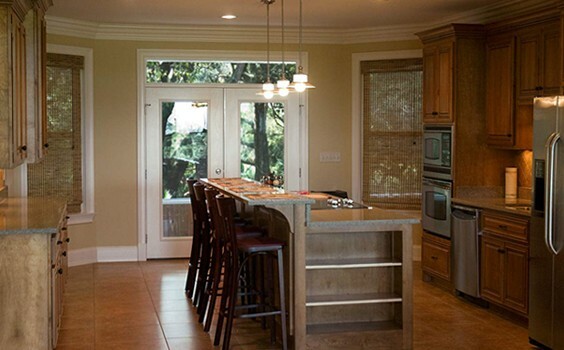 The longevity of the refinished countertop should be equivalent or exceed that of the original countertop. Whether in the kitchen or bathroom almost any countertop can be refinished resulting in a classic, long lasting finish. Both gloss and satin finishes are available. We can professionally refinish your existing worn, out of date cabinets with a smooth, durable non-porous finish. Their new appearance with our refinishing process is comparable to newly manufactured cabinets at a fraction of the price. With most jobs being completed in as little as one day, you avoid the time consuming and upheaval associated with replacement. Easy with little downtime. 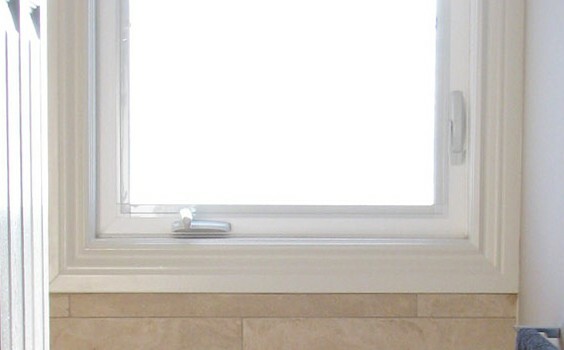 Expert repairs to window damages due to installation or handling to all vinyl, PVC and fiberglass window frames. Save money, Save time......Repair! We are bath technicians, servicing whirlpool bath pumps, blowers, electronics, pneumatic controls, piping and leaks. Servicing both private sector and representing manufacturers as warranty technicians. 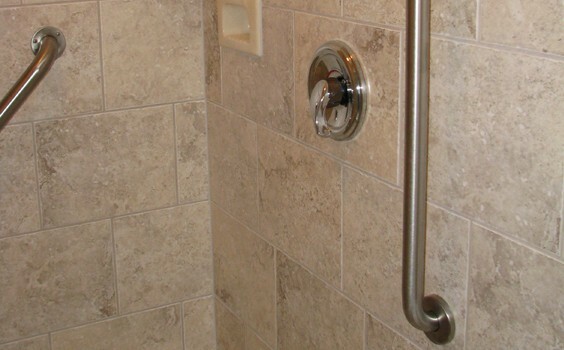 If looking for repair or replacement parts for you whirlpool or therapeutic bath, we can help. Servicing Guelph, Cambridge, Kitchener, Waterloo, Brampton, Milton, Georgetown, Mississauga, Hamilton, Oakville, Burlington and surrounding areas: Other regions can be accommodated upon request, based on repairs in specific area and urgency. Service repairs are grouped to areas wherever possible to facilitate decreased travel charges with savings past to consumer.